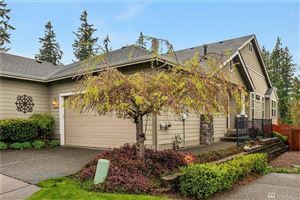 Ferndale, WA – Search Ferndale real estate, homes for sale, and property listings on our complete web site here on The Muljat Group web site. Your local source for Ferndale WA real estate. If your looking for real estate in the Ferndale Washington area this would be your best source for all of the property listings in the area. In addition, search for homes nearby with Bellingham homes for sale, Lynden real estate, and Birch Bay real estate. Call or text us at 360-739-0445 if you have any questions or would like to view a property in person. Thank you for visiting The Muljat Group web site, the areas largest independently owned local real estate company. Ferndale is a growing city located just 10 miles North of Bellingham. The Nooksack river winds right through Ferndale on it’s way to Bellingham Bay. Ferndale has this feel of rural living, yet the city has over 10,000 inhabitants that call it home. Most of the growth that has occurred over the last ten years has been on the gentle hills surrounding the city, as well as on the east of I-5.